Is Freebies a Scam? Read 13 Reviews! If you’ve got some time on your hands and live in Australia, Canada, Ireland, New Zealand, United Kingdom or USA, Freebies is a site to earn points and prizes. The location is important as many of the prize opportunities are limited to specific countries. Points are traded in for gift cards or payouts through PayPal. Each prize opportunity has its own timing and size of the prize. 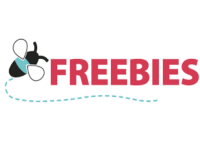 Freebies.com offers coupons, free prize draws, free samples and giveaways by having you look or experience an advertisement, video or article on a subject. They also use daily inspiration messages, daily memes, #shareables and riddles. Trivia questions and polls take time, but also put you in the position to win prizes or earn points. Many of the riddles, trivia and recipes all want you to share these on Facebook – which does link into your personal account. Some of these are published directly by Freebies and some are from external sponsors/advertisers. The members’ only draws are for gift cards or cash. The rules on who can be a member are limited to residents of Australia, Canada (excluding Quebec), New Zealand, United States or United Kingdom. Players also have to be 18 years or older or “reached age of majority as of June 23, 2014” – whichever is more. Okay, that’s weird. For the external prizes (non-direct Freebies.com), there are different rules and regulations depending on the sponsor/advertiser. In some cases, people from other countries can play. What Are the Prizes Offered by Freebies? Players can get things from iPhones through to Lululemon yoga mat to electrical kettles and inflatable lounge chairs. Points collected can be used to purchase things in Freebies’ Point Store. Polls and surveys generally also collect points. Coupons can be collected for discounts on purchasing items. Then there are the members’ prizes. What is weird is, at one point of their site Freebies talks about monthly prizes and then in their terms and conditions they go on about a $500 gift card draw that takes place twice a year. Freebies is “sponsored” by Bricormedia Inc., a company out of Ontario, Canada. There are email and snail mail addresses (post office box) plus online form. Bricormedia has offices in Australia, Canada, New Zealand, the UK and US. This is a company with a tag line “get your consumers to your website to sell products, engage in services, interact, complete a questionnaire, register for your newsletter and more”. Freebies.com’s terms and conditions are only for members’ only. The actual points accumulated go towards a monthly prize tier. The top 10 members win a $25 gift card and 11th to 50th win a $5 card. Members from 1 to 400 top points go into a draw for 1/$100 gift card, 2/$50 and 1/$25. For other prize links and sponsors, the terms and conditions are specific to their site. Spend your points in Freebies’ Point Store and your purchase is a click away. Keep in mind, you will have to pay for the shipping and handling. Delivery depends on where it is coming from and who the supplier is. For members’ prizes, there is no timeline on how quickly you get your gift cards. That is one of the things to watch for at Freebies.com. The only complain found referred to an external supplier who didn’t deliver and wouldn’t return the shipping and handling costs. Other than that, it looks like this is a fun site with some interesting things to do and a chance to earn points, win prizes or buy things. Is Freebies.com Scam or Legit? If you have the time to sit online answering stuff and don’t mind a lot of advertising, this looks like a fun site to surf around on. Oh, and if you’re a resident in the correct country to actually earn points. There are a few weird things in their terms and conditions on members’ draws. This site does have a lot of interesting options on how to gain points and prizes. I particularly like the trivia questions and though I chose not to share that strawberry shortcake recipe on Facebook to all my friends, I did save it. How Much Time Do I Have to Play Here? Do I Want to Share on Facebook? How Much Advertising Am I Going to Receive? This site is upfront in that it’s a marketing and advertising site that shares information and gathers people contacts. At the same time, there is a heap of things to earn and win. I signed up for this via an Instagram ad about it, thinking it was an actual thing. I know some people have claimed it’s real, but I disagree. It takes you on a rabbit hole from one info questionnaire to the next, and even after clicking “confirm” on any one, it takes you to another one in an endless loop so you never get to “confirm” any “shipment” you get emailed about. Speaking of emails, I’ve gotten over 80 of them in the past 2 days from dozens of companies claiming I’ve won a free Samsung TV, a free $500 Walmart gift card, a free $1000 Amazon gift card, on and on–and it’s such a scam. Asks you to enter in your debit information (of which I have NOT done and I pray no helpless soul ever does). Will not be giving them my information ever again. Please do not trust this. Just wanted to let the community know that a new Freebies.com site came out April 2019. We also have a pretty active Facebook Community, so if you want to talk directly to our team please DM our page at Facebook.com/Freebies. Thanks for taking the time to review the new Freebies.com! False advertising!!! All you get for free is spam emails & non-stop calls. Don’t waste your time people. I completed multiple surveys only to receive nothing but irritation in return. Steals information. Almost lost all my debit card funds. Not good. Never win and they ask a whole bunch of stupid polls and trivia questions. I think it’s a scam. I was a skeptic at first after reading other people’s reviews of not winning for years then in my first month I got a winners email for the PetSmart $50 gift card I couldn’t believe it, then I got another email stating I couldn’t get that particular giftcard it was unavailable in my area but gave me other options to choose from I picked Amazon and it was there within 24hrs so I know now that it’s for real😃 I play everyday in hopes to win again🤞🤞I find it Fun! Still very unsure about this site. I’ve been a member for over a year. I’ve had a lot of fun n accumulated a lot of points. But never won anything yet. Now this morning I log in n swear I see my name in winners list finally but cannot find my email saying I win. Nor can I find a way to contact them by email phone or anything. Very disappointed that there is no “Contact Us” place for members to ask questions. I’ve never won anything, although I’ve not been a member that long, really. However, I do notice that, often, the prizes I enter to win just disappear. They don’t show up in the winners’ list or anywhere; they are just gone. I also noticed that, for example: On September 1st, I would enter to win a prize that has around 90-95% entries received (once it is at 100%, apparently, they do the draw), and then the next day, when I notice it is no longer in the list of prizes to be won, I go check the recent winners’ list, and there it is, having been won on, say, August 28th (a date prior to when there were supposedly entries remaining to be purchased). In other words, either the draws are taking place and they continue to sell false entries (after the actual draw), or there are no prizes, and they are not very good at tracking their own fake prize dates, or …? And what happens to the prizes I entered to win but just disappear? Neither on a winner’s list nor on the members’ prizes list? Could be some explanation for all of this; however, these are the things that I have noticed. Maybe it is all legit, but I have no evidence, as yet, to be able to say so. I am a member and it’s a lot of fun. I haven’t won anything yet, but I can see a lot of members winning all the time. I am members of freebies. All you basically see a majority of the time, is Canada win just everything! You have a snowball chance in hell to win, if you’re in USA, Australia, etc. But still is fun & I’m not giving up on it yet!